I'm always interested in email hacks. As a devoted follower of inbox zero (with varying level of success), I've truly come to appreciate the small but effective changes we can put in place to use our technology in the best way. From filtering messages to email templates, I love some good automation of the most time-consuming but least value-producing of activities. I'm a ruthless editor (of all things but my home, the lamp count is double digit now), so I have no problem with excessive subscriptions- if I'm on your email list, it's because I want to be. That doesn't mean I want to spend time every day going through them, which is why my discovery of unroll.me was so exciting. 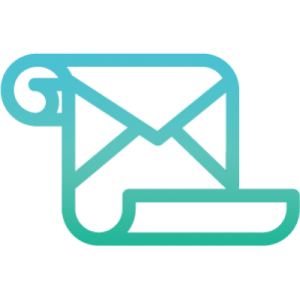 Signup once and let it get situated- you can either wait while it aggregates your subscriptions or you can have them send you an email when the process is complete. I had 221 subscriptions. Jeez! Go through them and select what you want to unsubscribe from, what you want to leave alone, and what you want added to a daily "roll up" email. From the daily roll up you can easily open anything you want to see in more detail, and otherwise, hit delete once and get on with the day. I adjusted my settings for the first week, adding or removing things I'd rather receive as individual emails rather than in aggregate, and I've settled onto a process that works quite nicely. I can visit my roll-up on their website and see emails by category and even what's coming my way tomorrow. Check it out! And while you're at it, let me know if you have any other amazing life hacks I should know about. I downloaded this a month or so ago. So useful. More importantly, how on earth do you have enough surfaces for ten lamps?! !